For signed copies, call the Andover Bookstore at 978-475-0143. By the time that these invasions--known collectively as the Fenian raids--began in 1866, Ireland had been Britain's unwilling colony for seven hundred years. Thousands of Civil War veterans who had fled to the United States rather than perish in the wake of the Great Hunger still considered themselves Irishmen first, Americans second. With the tacit support of the U.S. government and inspired by a previous generation of successful American revolutionaries, the group that carried out a series of five attacks on Canada between 1866 and 1871—the Fenian Brotherhood—established a state in exile, planned prison breaks, weathered infighting, stockpiled weapons, and assassinated enemies. Defiantly, this motley group, including a one-armed war hero, an English spy infiltrating rebel forces, and a radical who staged his own funeral, managed to seize a piece of Canada--if only for three days. Thirteen months after Robert E. Lee laid down his sword at Appomattox Court House, former Confederate rebels slipped on their gray wool jackets. Union veterans longing to emancipate an oppressed people donned their blue kepis. Battle-hardened warriors from both the North and the South returned to the front lines, but not to reignite the Civil War. Instead, the former foes became improbable brothers in arms united against a common enemy—Great Britain. 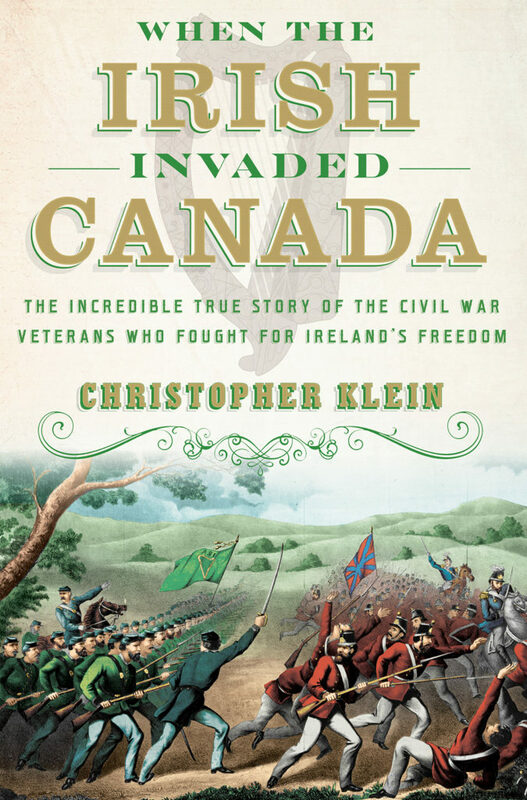 Entwined by Irish bloodlines, the private army that congregated on the south side of Buffalo, New York, on the night of May 31, 1866, shared not just a craving for gunpowder but a yearning to liberate their homeland from the shackles of the British Empire. For seven hundred years, British rulers attempted to extinguish Ireland’s religion, culture, and language, and when the potato crop failed in the 1840s and 1850s, causing one million people to die, some Irish believed that the British were trying to exterminate them as well.